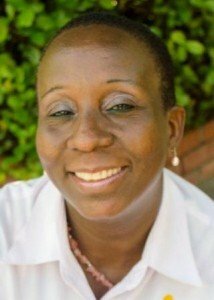 Dr Valda Henry is the Chief Executive Officer of VF Inc., a consulting firm based in Dominica that provides services in a variety of areas including corporate governance and human resource management. She completed a PhD in Finance in 2001 on a Commonwealth Scholarship at the University of Warwick. Through her PhD and work, Valda has become an expert in governance and social security in the Caribbean. In addition to her current work, Valda has advised governments and international organisations such as the International Labour Organization (ILO) on governance-related matters. Valda’s company, VF Inc. is also involved in a number of community initiatives such as the Phenomenal Caribbean Women’s Symposium, Phenomenal Caribbean Men Symposium, and VF Inc.’s Youth Series, aimed at empowering women, men and Dominican youth respectively.